Royal Treatments Massage Therapy is a massage therapy clinic located in Armstrong British Columbia, Canada. Helping you Heal With Massage Since 2005! Now Open in Armstrong B.C. 778-212-5911 Call, Text or book online! The clinics provide advanced therapeutic, sports therapy, trigger point,deep tissue, cupping,Swedish relaxation, Hot stone,and pre-natal massage in a safe, comfortable, and relaxing environment. We cater to clients of all ages including children, adults and seniors. Our services include a wide variety of massage techniques that are designed to relieve the pain and stress related to day to day living, while aiding in the rehabilitation of physical injuries. We offer the highest quality of care to our clients. We are friendly and knowledgeable and care about all aspects of your treatment. We customize each treatment to meet your specific needs by incorporating a variety of assessment and treatment techniques that are best suited to you as an individual. 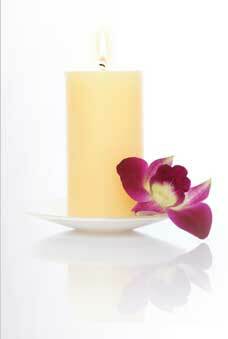 Royal Treatments Massage Therapy is dedicated to improving the general well being of all our clients. Kelly Specializes in Therapeutic, Sports Therapy, Rehab, and Deep Tissue, Cupping Therapy, Pre and Post Natal, Swedish Relaxation, and Hot Stone Massage! She has 14+ years of experience an is now welcoming new clients to the business.